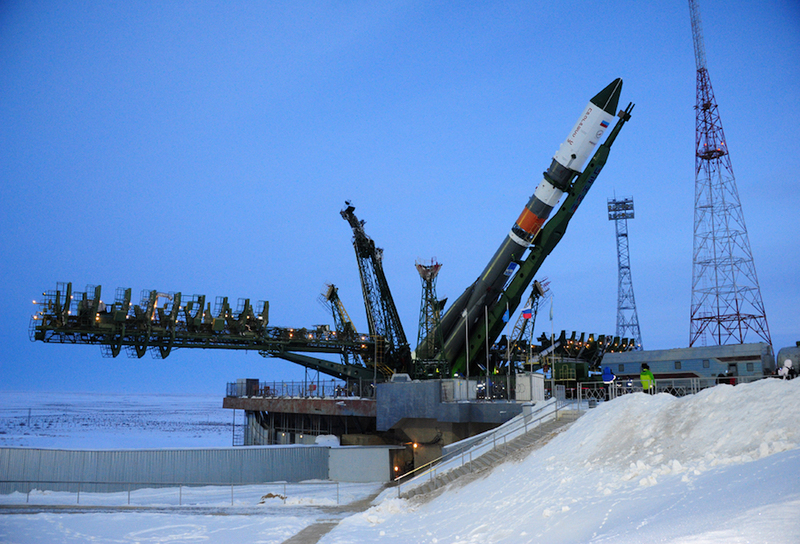 EDITOR’S NOTE: The Soyuz launch was aborted in the final seconds of the countdown Sunday. 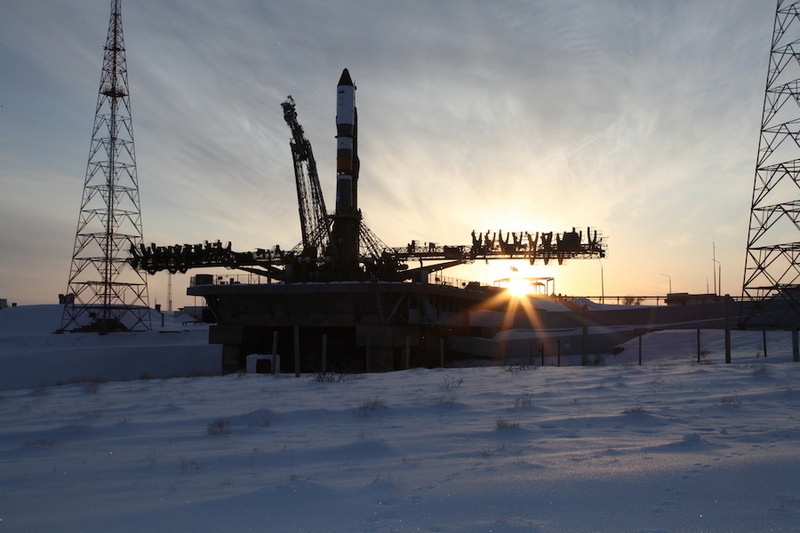 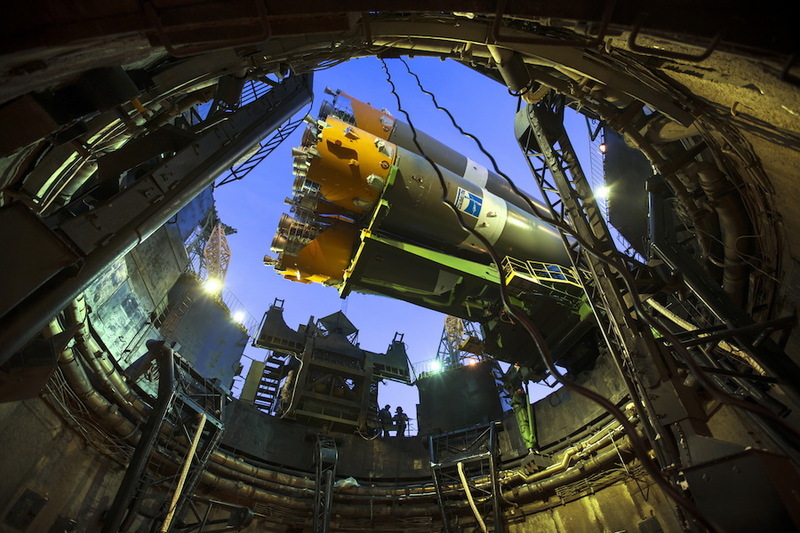 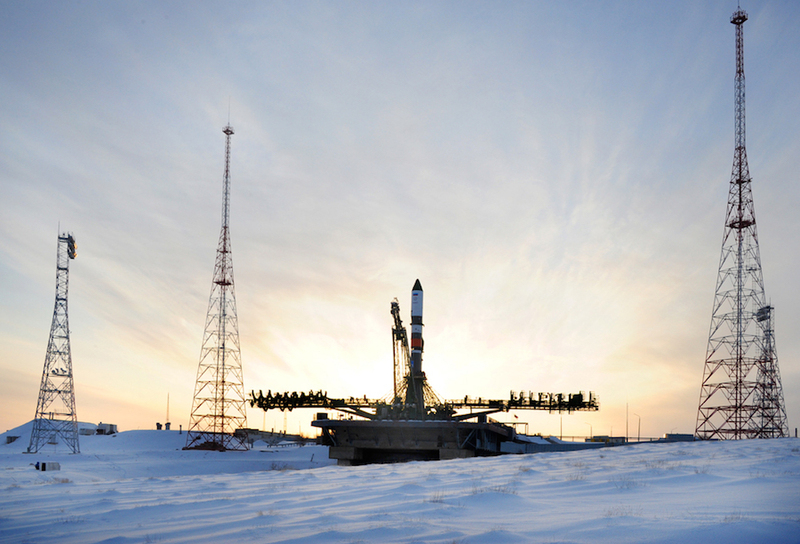 The Soyuz-2.1a rocket, a modernized version of Russia’s venerable Soyuz launcher, rolled out of its assembly hangar — known by the Russian acronym MIK — at the Baikonur Cosmodrome before sunrise Friday. 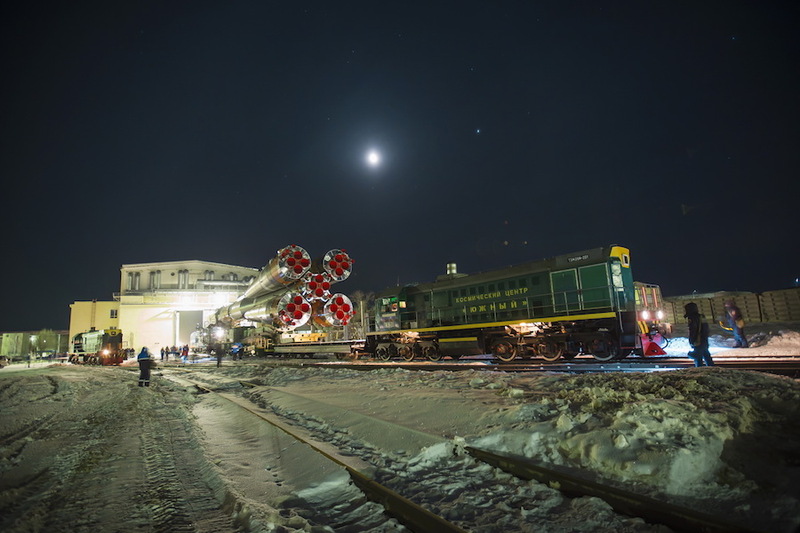 Towed aboard a specialized rail car behind a train engine, the Soyuz reached Launch Pad No. 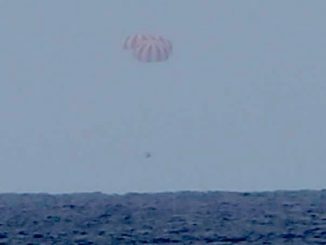 31 and was raised vertical later Friday morning. 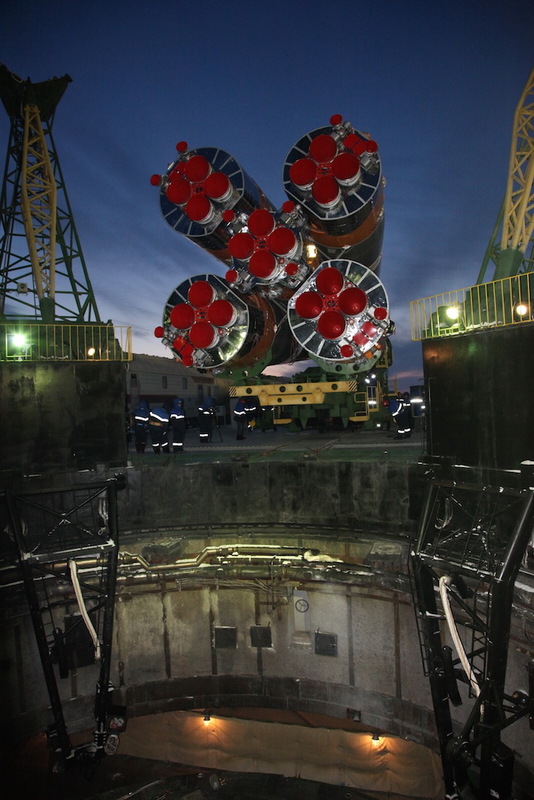 Retractable gantry towers moved into position around the Soyuz rocket to give ground crews access to the launcher for final pre-flight preparations. 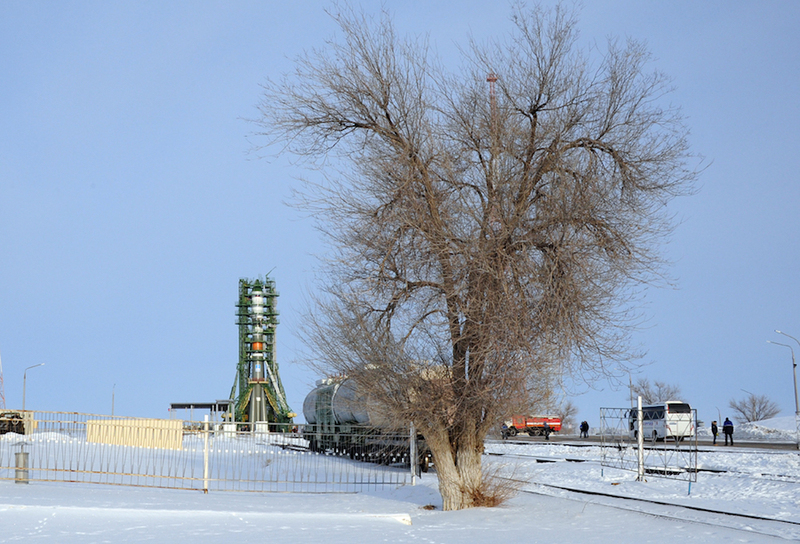 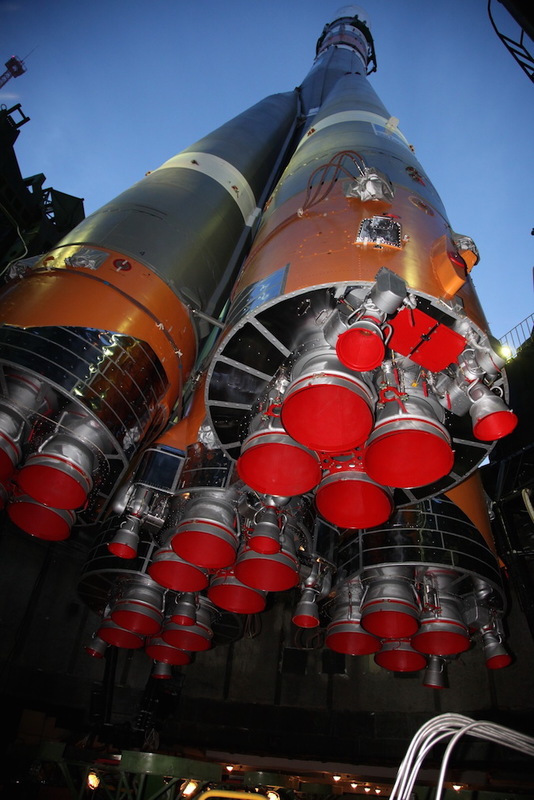 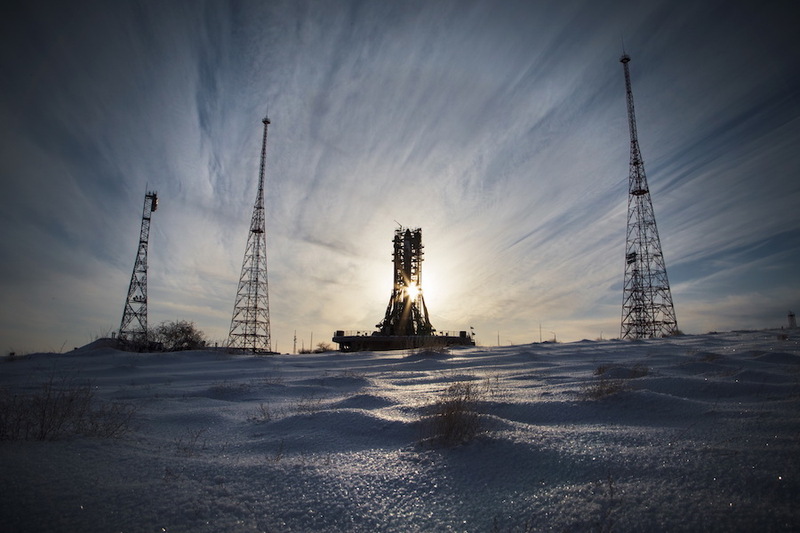 Liftoff of the Soyuz-2.1a rocket is scheduled for 0858:45 GMT (3:58:45 a.m. EST; 2:58:45 p.m. Baikonur time) Sunday. 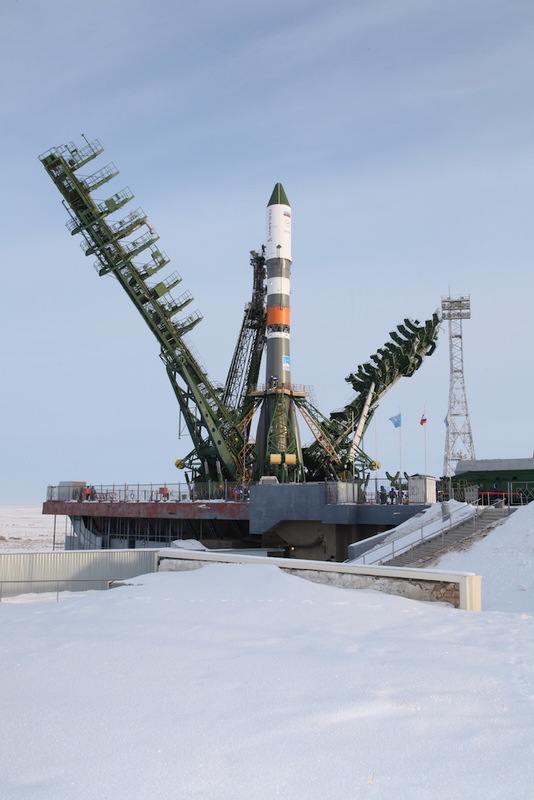 The three-stage Soyuz booster will deliver the Progress MS-08 supply ship — known as Progress 69P in the space station’s visiting vehicle manifest — into orbit approximately nine minutes later. 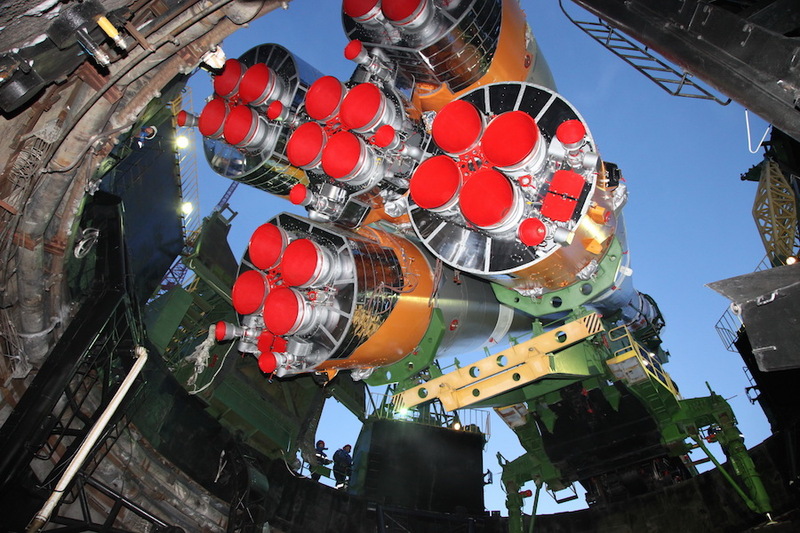 The Progress spacecraft’s power-generating solar panels and navigation antennas will unfurl moments later, and the robotic resupply and refueling freighter will begin firing its engines to match orbits with the space station. 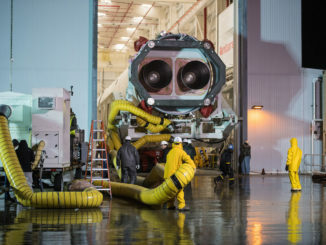 A Kurs rendezvous radar will guide the Progress on its approach to a docking port on the aft end of the space station’s Zvezda service module. 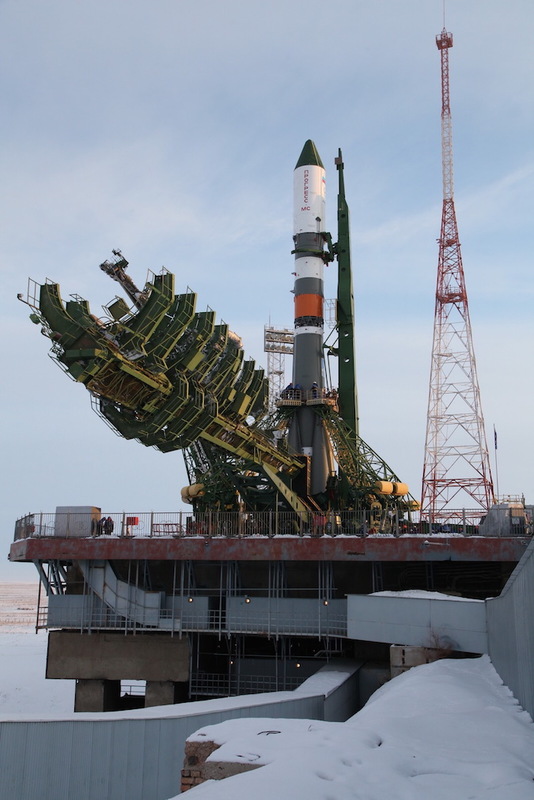 The Progress MS-08 supply ship is slated to complete its orbital link-up at 1224 GMT (7:24 a.m. EST). 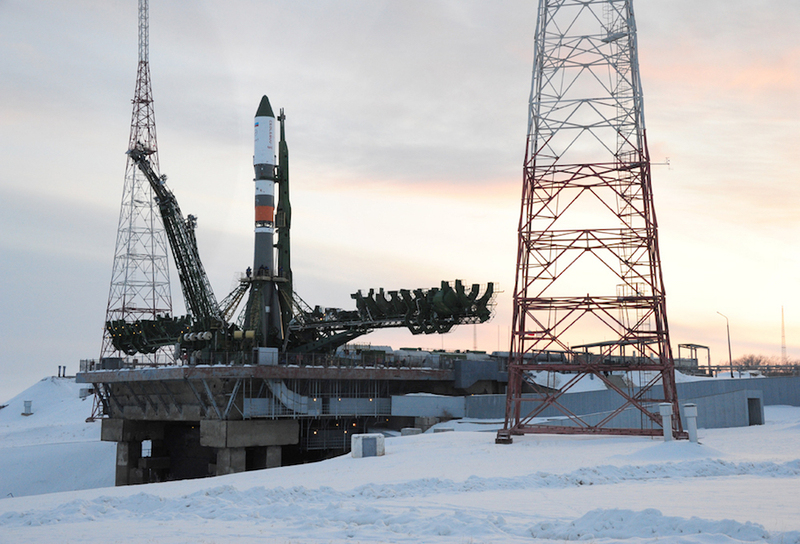 Russian engineers aim to demonstrate a new express rendezvous sequence on Sunday’s flight, cutting in half the time most Progress resupply ships and Soyuz crew ferry craft take to reach the space station after liftoff. 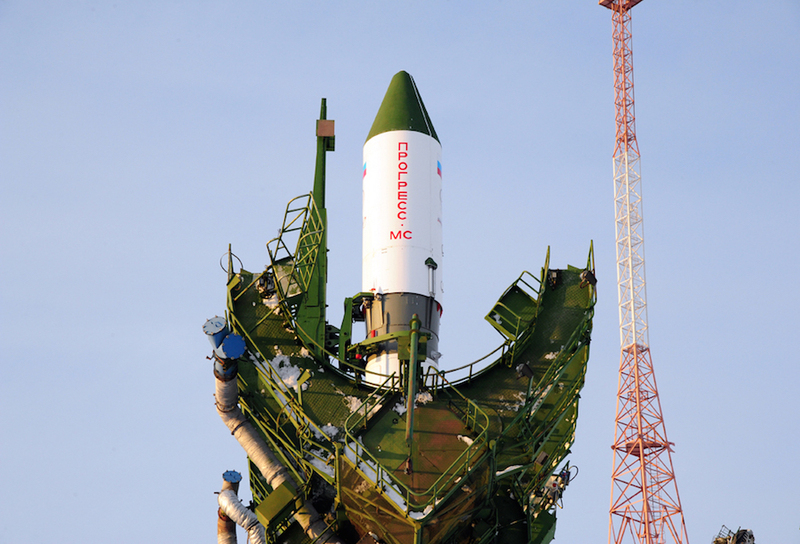 The three-and-a-half hour rendezvous profile would set a record for any vehicle visiting the International Space Station. 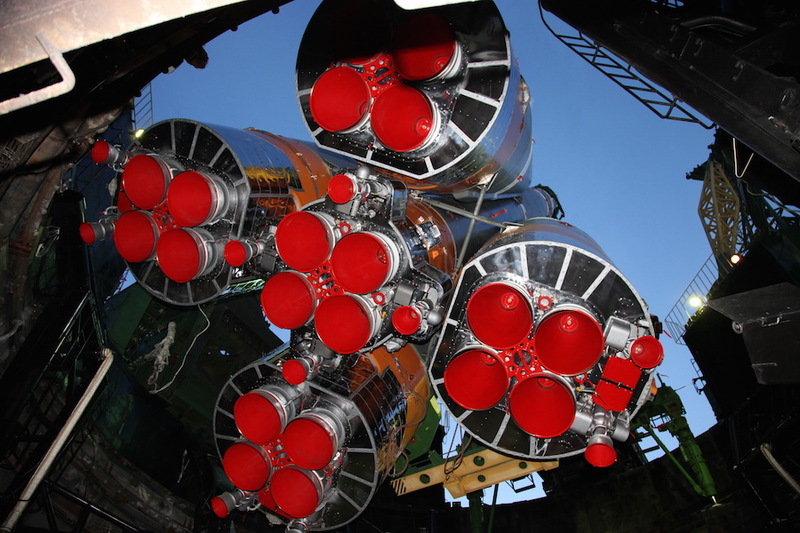 Officials hope to use the shortened rendezvous profile on Soyuz crew missions, once demonstrated on unpiloted Progress missions. 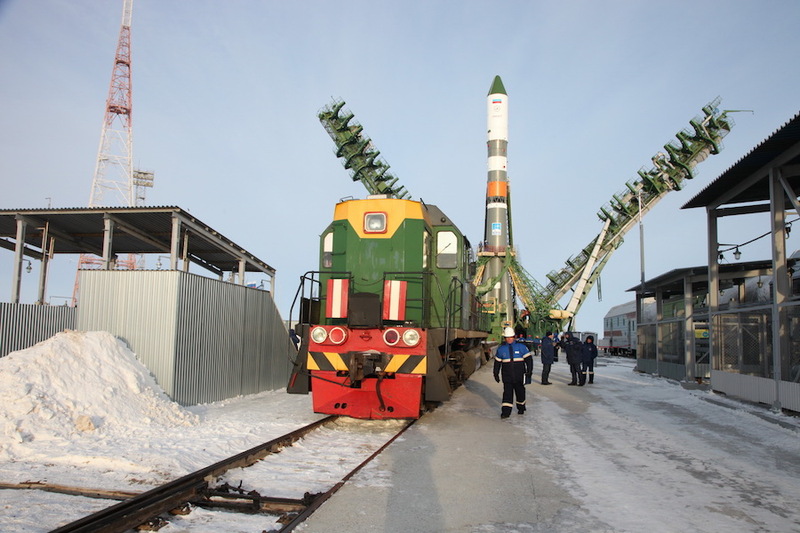 The change will reduce the workload and time spent inside the cramped Soyuz capsule for future station crews. 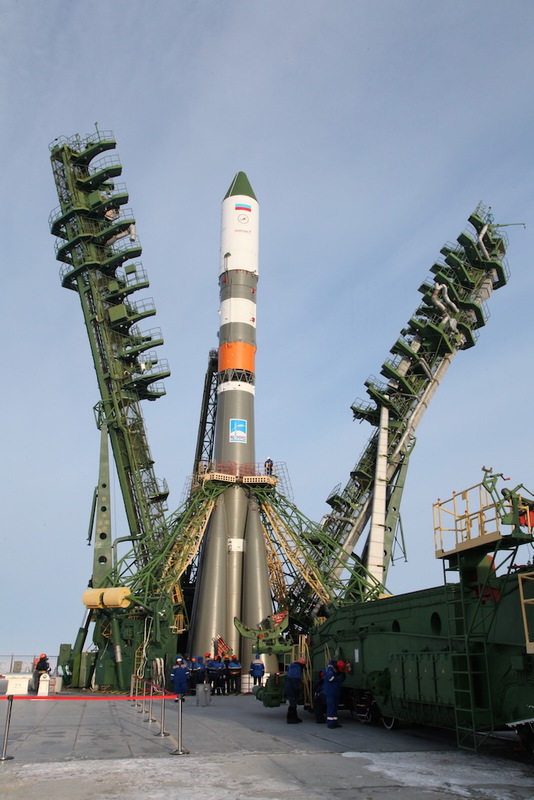 Russia began shortening Progress and Soyuz flights to the space station a few years ago, reducing the standard approach time from two days to around six hours. 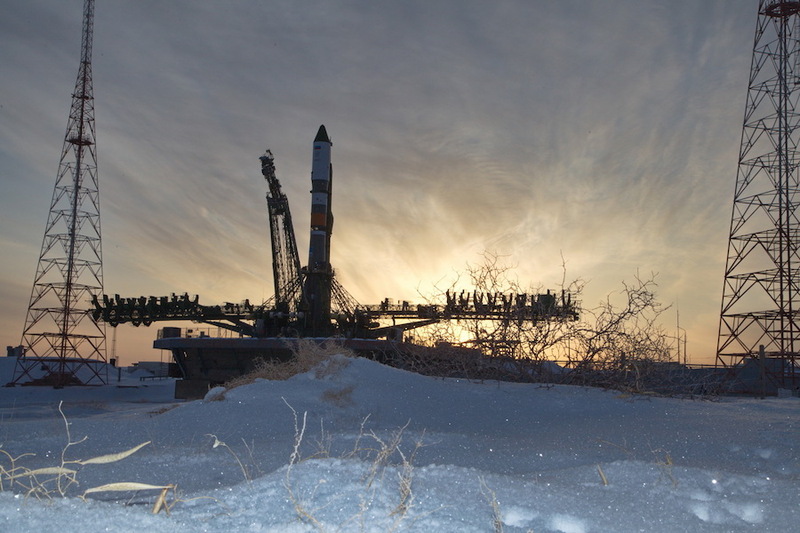 Engineers launched a Progress supply ship on an accelerated six-hour rendezvous for the first time in 2012, and began using the fast approach for Soyuz crew missions in 2013. 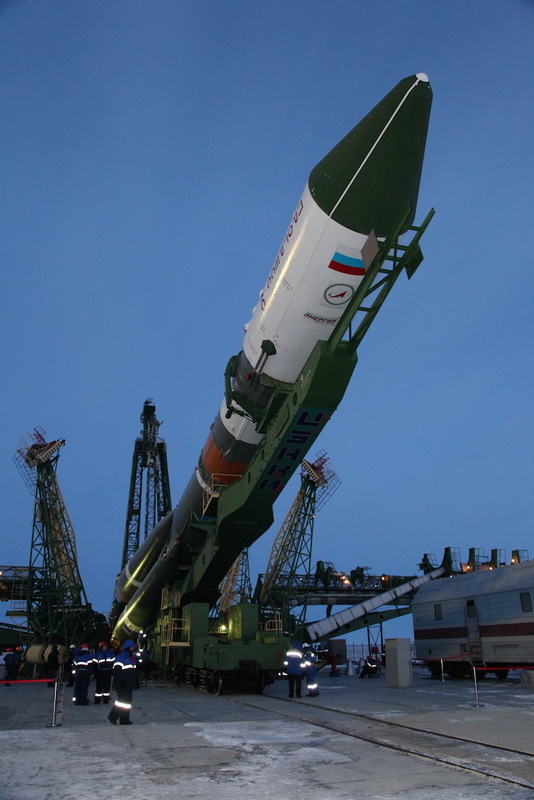 The six-hour trip occurs as the space station and visiting spaceship make four orbits of the Earth, while the even quicker journey Sunday will take place during just two orbits. 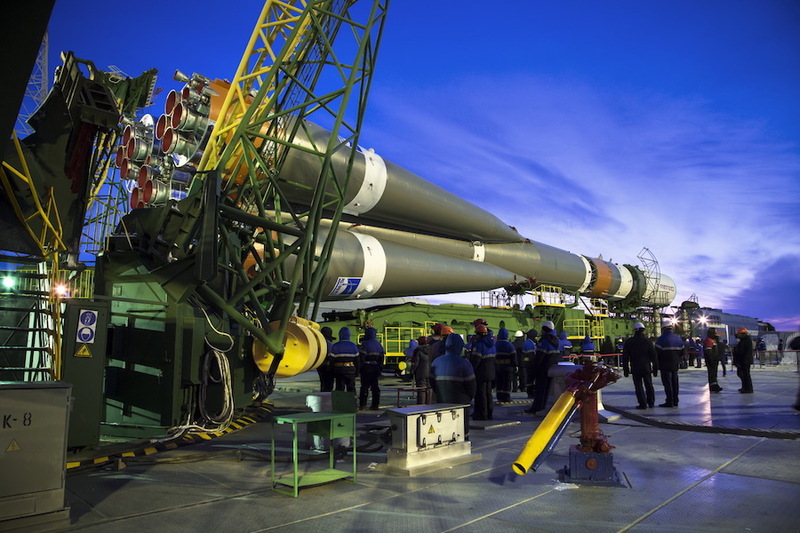 Russia intended to demonstrate the two-orbit, three-and-half hour rendezvous on the most recent Progress resupply mission in October, but a last-minute abort in the Soyuz rocket’s countdown forced a two-day delay in the launch, prompting officials to scrap the plan. 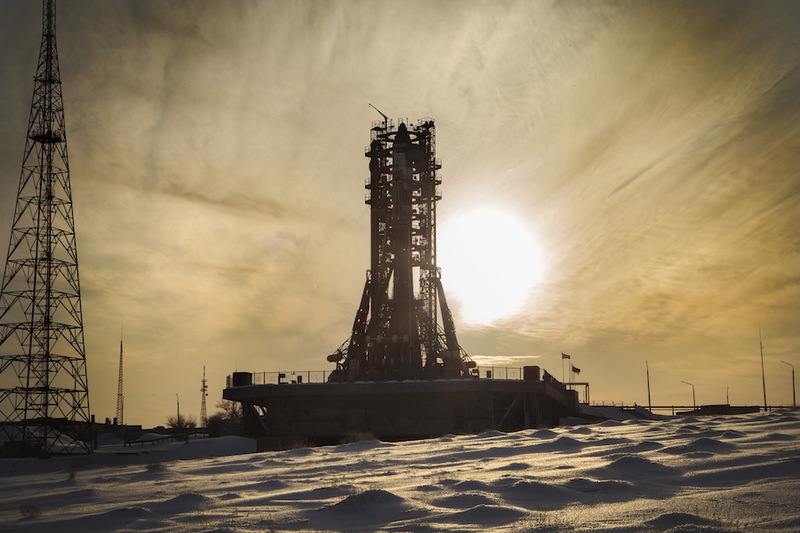 The constraints of orbital mechanics only permit the shortened three-and-a-half hour approach sequence if the Soyuz rocket blasts off at just the right moment, requiring a special alignment between the Baikonur launch base and the space station’s orbit that only occurs on certain days. 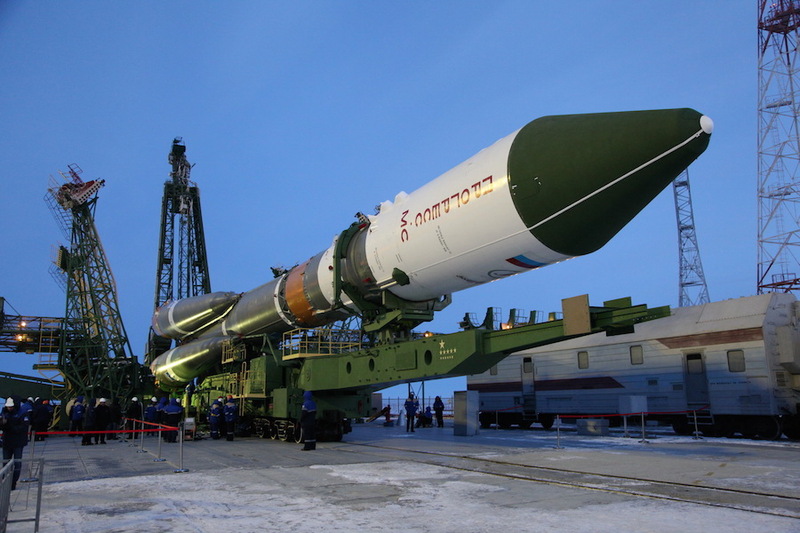 Assuming the Progress MS-08 supply carrier lifts off at Sunday’s instantaneous launch opportunity, Russian mission controllers will go forward with the two-orbit rendezvous plan. 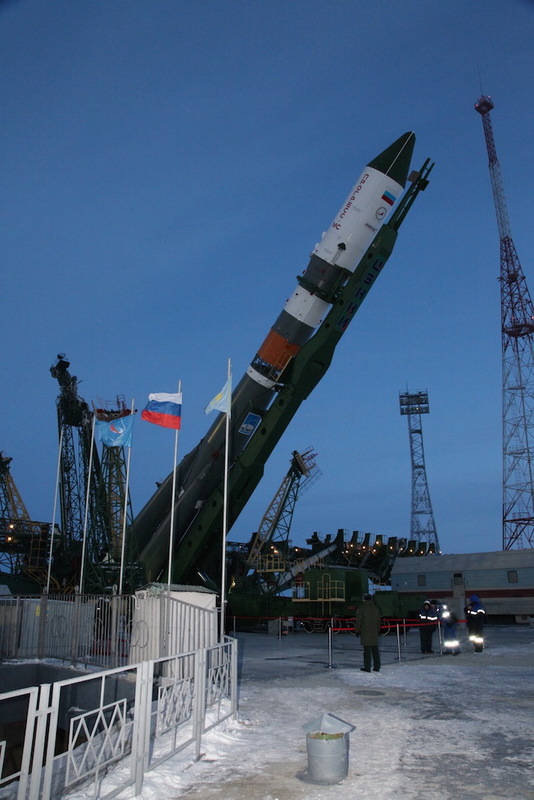 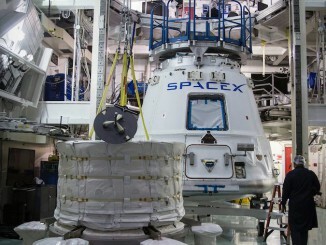 Officials have the option to revert to a two-day, 34-orbit flight plan. 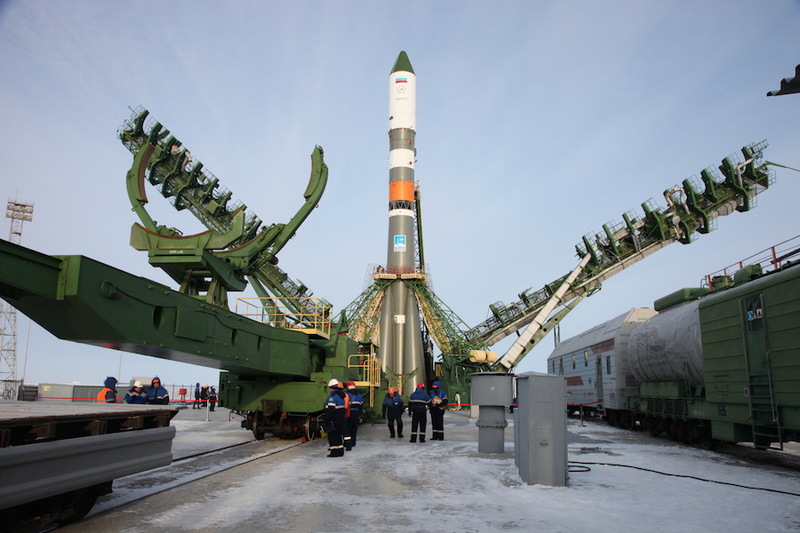 The Progress spacecraft is carrying 1,962 pounds (890 kilograms) of propellant for the station, plus 926 pounds (420 kilograms) of water, 53 pounds (24 kilograms) of compressed air and 48 pounds (22 kilograms) of compressed oxygen for delivery to the orbiting research lab, according to a manifest released by Roscosmos, the Russian space agency. 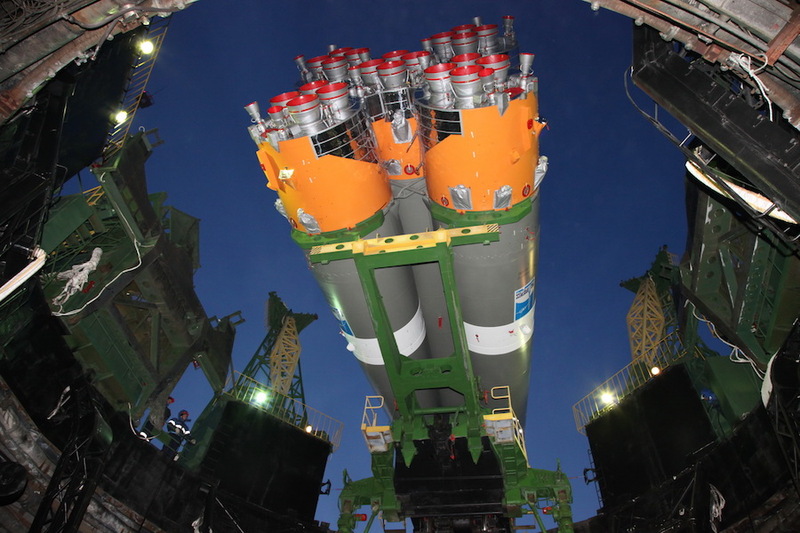 Ground crews at the Baikonur Cosmodrome packed the pressurized cabin inside the Progress MS-08 supply ship with 3,064 pounds (1,390 kilograms) of equipment, scientific hardware, food and supplies for the station’s six-person crew, Roscosmos said. 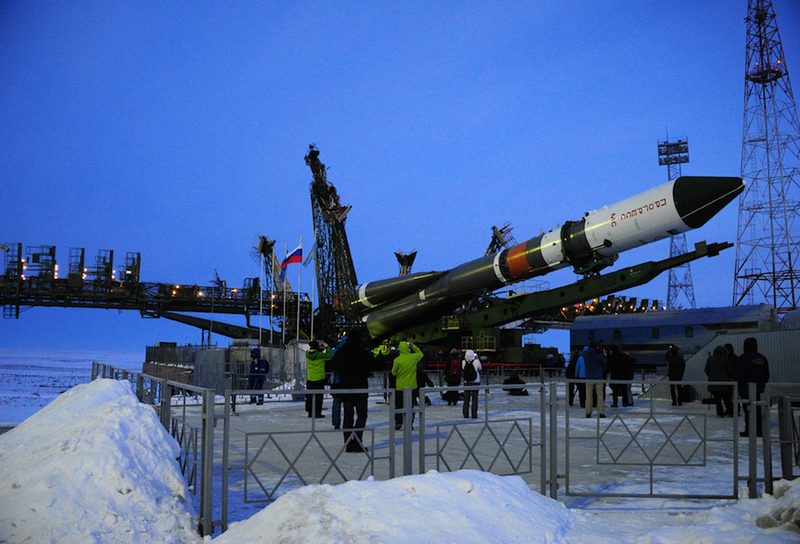 Photos of the Soyuz rocket’s rollout Friday are posted below.